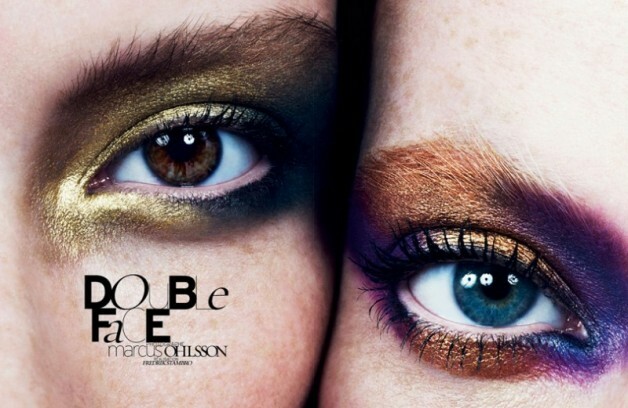 Photographer: Marcus Ohlsson. Model(s): Julia Hafstrom & Chantal. Source: French Revue de Modes. Makeup: Fredrik Stambro. Julia Hafstrom & Chantal are birds of a feather that flock together in ‘Double Face’ by Marcus Ohlsson for French Revue de Modes #22. 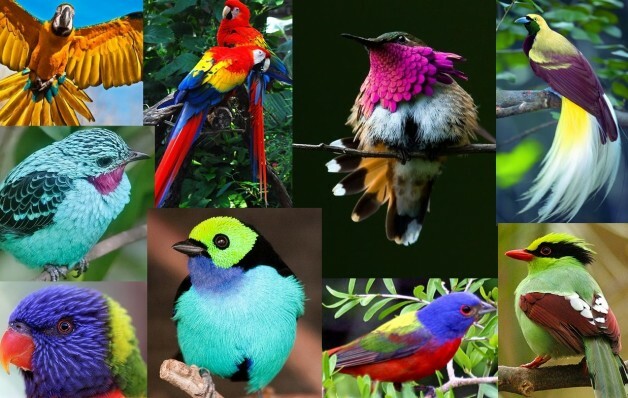 Celebrating one of the world’s most colorful creations, (makeup artist) Fredrik Stambro, delivers a bountiful beauty harvest inspired by the wild population of exotic birds (above). Makeup mimicking nature, this amazing layout follows the powerful patterns found on the fantastical feathers of these fashionable flying objects. An ode to nature’s art, we are reminded that the greatest beauty we can find is right outside our door. A paradise of possibility, in the pantheon of painted world wonders, these beautiful birds offer an endless supply of creative inspiration. Thought of as one of the purest forms of energy, many colors are known to provide a boost to the body, elevating mood and supporting vitality. 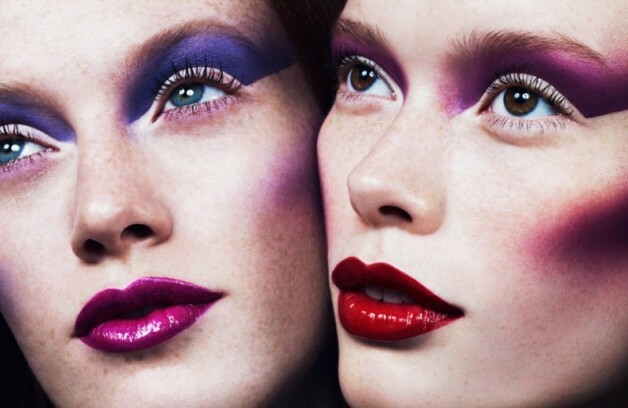 And while most of us won’t be going this bold with our makeup for Spring, a variation on this theme might provide a nice diversion from the dark shades of Winter.